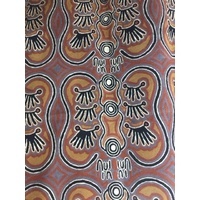 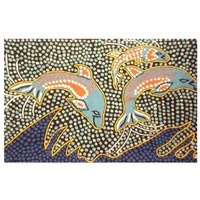 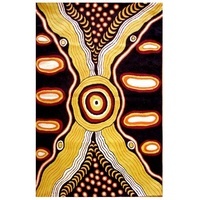 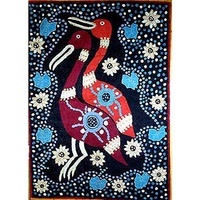 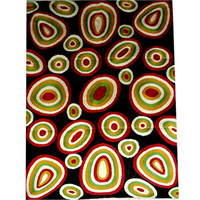 Tobwabba Art tells the story of the Worimi Community located in Forster, Tuncurry NSW. 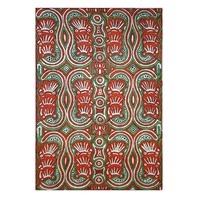 This beautiful chainstich rug is fully licenced and designed by Leslie Kelly " Water Hen and Wild Lily Flowers". 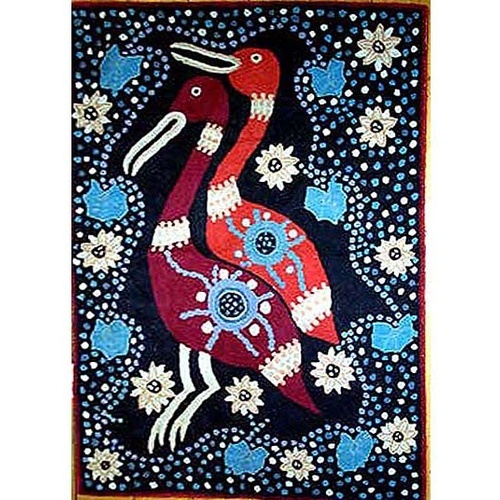 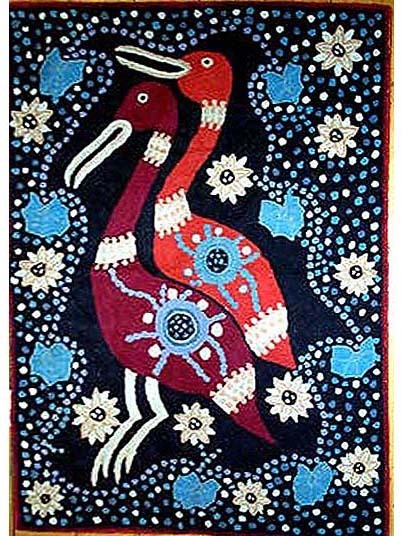 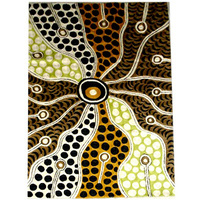 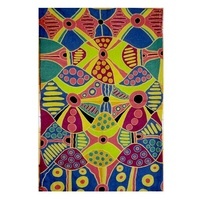 These rugs are made under Indigenous cross cultural and fair trade arrangements to benefit the artisans of the both worlds.